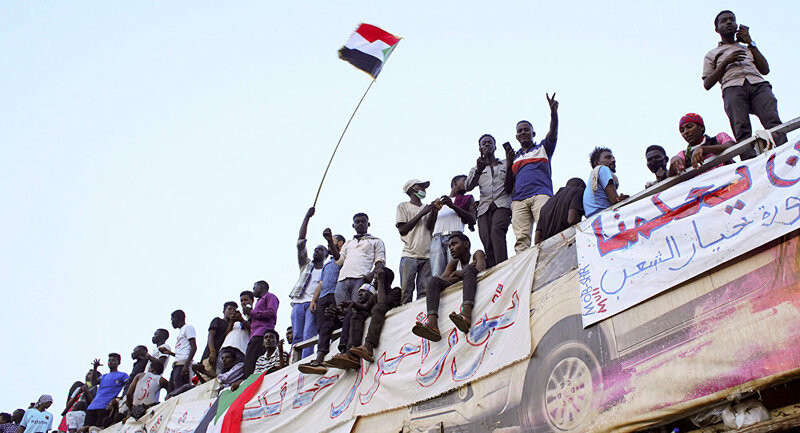 "Whoever comes to power… in Sudan, they will undoubtedly seek cooperation with Russia. I am confident that we will maintain relations with this country in the most active way", the lawmaker said. Earlier in the day, media reported that the Sudanese army had decided at an emergency meeting to oust Sudanese President Omar Bashir from all positions and sack the county's cabinet ministers following months of anti-government protests. According to various reports by Arabic language media, at least 100 officials have been detained by the military, while Bashir has been placed under house arrest; however, there is no official confirmation at the moment. Lebanese TV channel Al Mayadeen also reported, citing sources that the armed forces would soon announce the creation of a military council to govern the country during a transition period possibly lasting for up to one year.